Did Deepika turn down Bhansali for Karan Johar's next film? 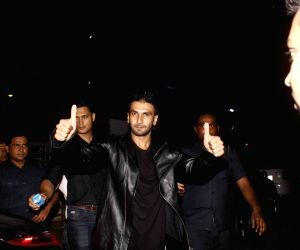 Actor Ranveer Singh visits Chandan Cinema to promote his film Bajirao Mastani in Mumbai on Dec 20, 2015. Actors Shilpa Shetty and Ranveer Singh during the screening of film "Bajirao Mastani" in Mumbai on Dec 17, 2015.